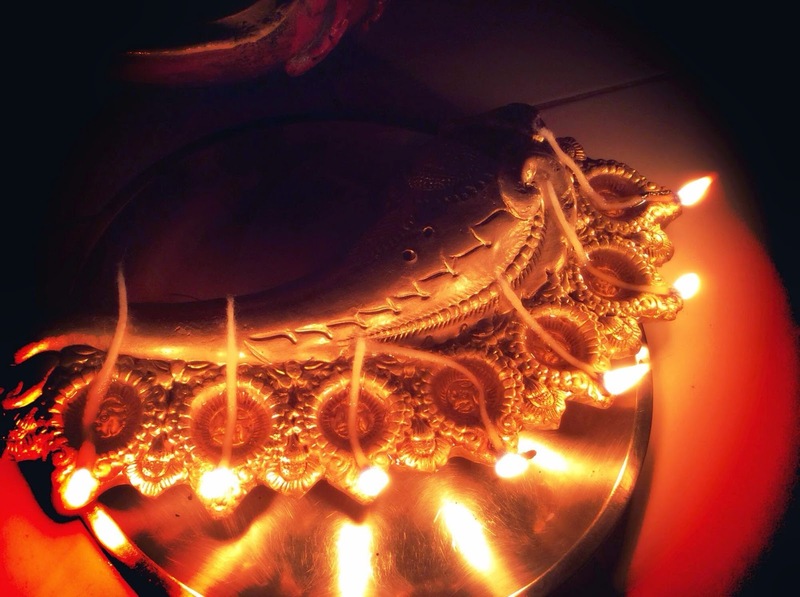 Dazzled, bejeweled, came the night of Deepavali. It comes every year and this year was no exception to its beauty. Though, for us, Bengalis, it is a celebration just for a night that we call Kali Pujo, while the rest of the country celebrates it with a much greater grandeur. Preparations start well in advance; the spring cleaning of the homes, the shopping list is made for new clothes, gifts, diyas, sweets and fireworks in some homes. I love to see and experience all these. It's a happy feeling that sets in; a mood that soaks in all these frenzied and exciting moments. Like I said earlier, we Bengalis do not celebrate this beyond a day and our celebrations centre more on the very special puja on the day of Kali Puja. We invoke Goddess Kali and worship her. I remember how in earlier times, we used to have animal sacrifice on this special day. Now of course, this gory tradition has given way to a more sober tradition of gourd sacrifice. I have seen my mother, grandmothers and other senior members of the family keeping a fast and breaking it only after the puja at midnight. That was a unique feeling, very difficult to express. The heady smell of the dhoop or incense sticks, the flickering lights from the deepas, the blood-red hibiscus garlands around Ma Kali as she stood looking resplendent in her form, those very expressive eyes of hers seemed to be taking in all, blessing the good and punishing the evil; we were so enamoured by the very presence of the idol, muttering our prayers with closed eyes and trying to be as respectful as possible! 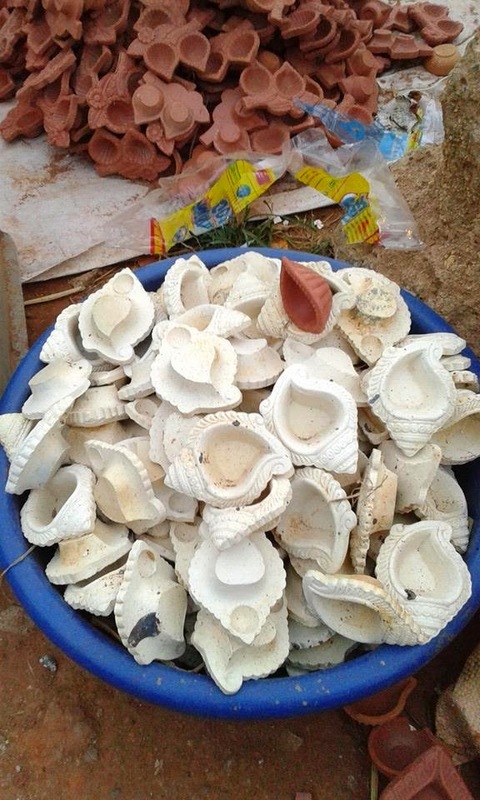 That was the story of our childhood days during Kali Puja. Now, things have changed quite a lot. We,too, have been drawn into the celebration mode, adapting to the new traditions and rituals of Diwali as we see it around us. And this,too, feels good. After all, festivities do make life happier. So off I start with my cleaning, trying to give the home a new look and dress her up in the newest of outfits in the form of new curtains, new cushion covers, rugs and mats. A bit of shopping for some new home accessories to display on the special day; not that it's needed but more for the fun and happy element that surrounds our festivals. 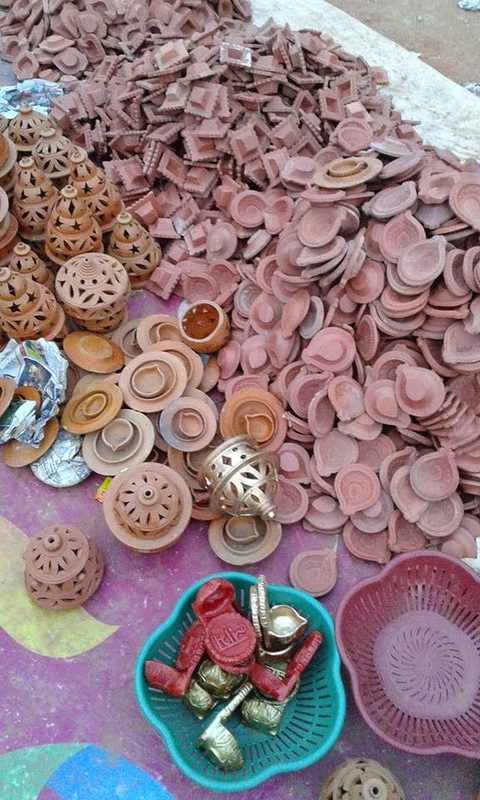 I made a few trips to the local fancy stores selling clay diyas trying to spot some interesting pieces. 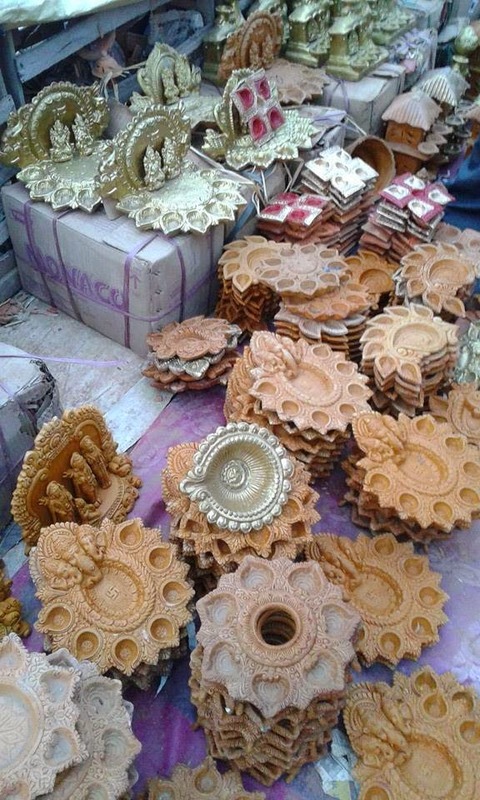 During these trips, what I loved most was the excitement of the people as they very carefully chose the pieces they wanted to take home; the way they bargained with the vendors; and finally their triumphant looks when they did manage to convince the shopkeeper and get their loot at their decided price! All this exchange of conversation really intrigued me, a person too poor in these skills! The festive season has its own charm. I love the energy and the mood this season brings in with it. Not just our indoors,even the outdoors seem to be dressed up with lights, making the places come alive with so much beauty. There is movement everywhere and I find this extremely positive. I love to see the heaps of flowers all over the pavements in tiny makeshift stalls. The yellow marigolds and chrysanthemums and mallige ( local name for jasmine), tiny button roses in bold colours; they all make such a pretty sight! The best part is the different kinds of sweets we get at this time. We,at home, have become conscious eaters these days. So, we 'see' the sweets at the sweet shops but rarely indulge in them. 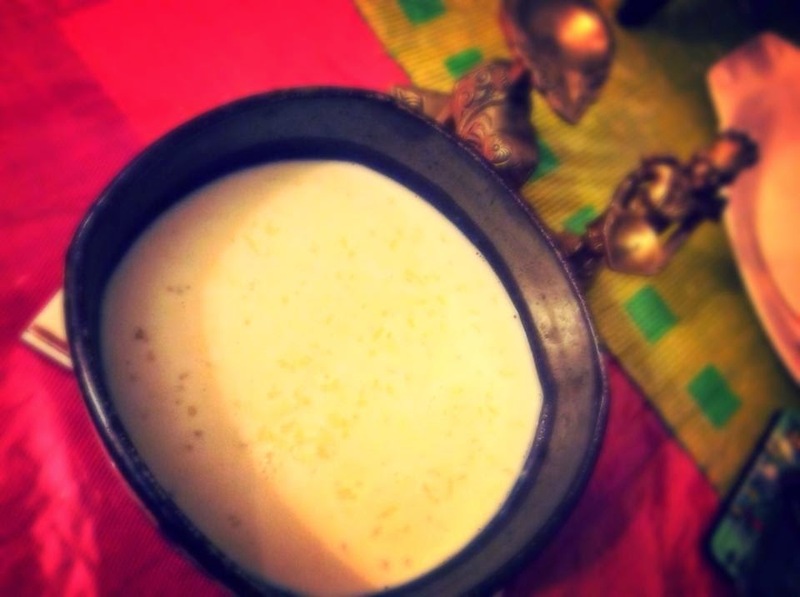 I made our special Bengali rice payesh which people at home just devoured. After all what is a festival without sweets! The decoration at home was toned to some extent. To get away from the extreme noise created by crackers, we took off to the quieter hills, making sure to return back on the D day to light up our home. On a more sober note I would like to wish and pray for a more enlightened 'us'; the lights should light up not just our homes but also light up our minds, remove all darkness that maybe there in the minds and illuminate us. 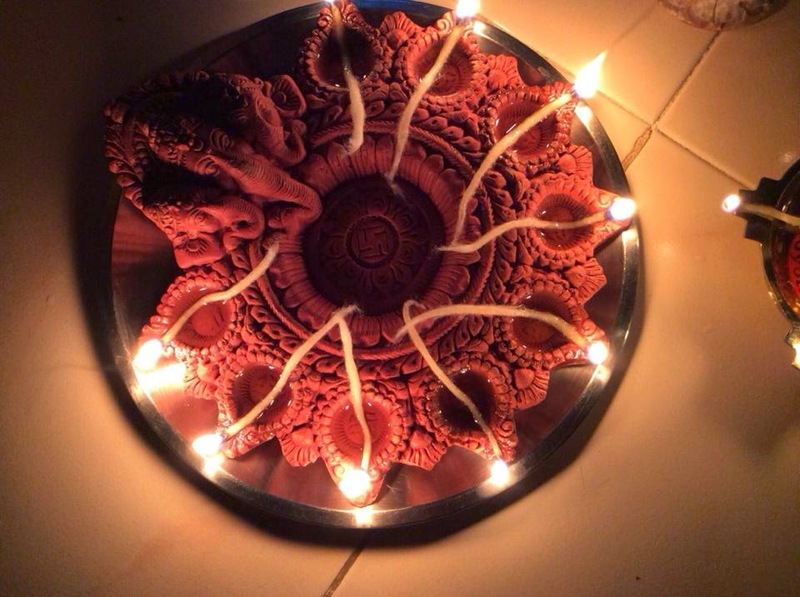 These are a few of the shots taken at home and some clicked at the local shops selling flowers and diyas. Wishing all of you a very happy Diwali and praying that your lives be filled with happiness,peace,prosperity and good health. Look at these! So pretty,aren't ,they? Beautiful pictures. They are amazing. and also the narration you shared here gives lot of information about our Culture. Thanks for sharing. 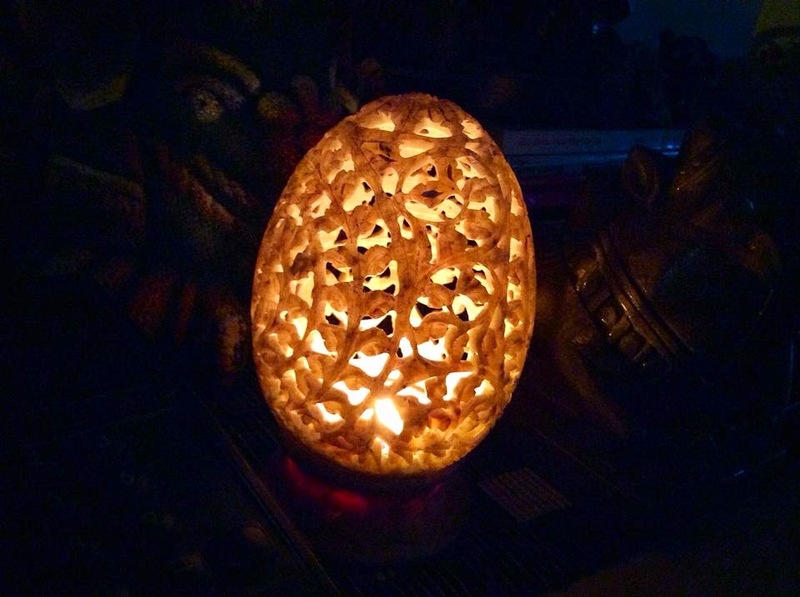 Please look into my Lamps of India message which i shared in my Heritage of India blog and give your comment for the same. Thank you Dokka Srinivasu! Glad you liked the post! Your pics looks superb... beautiful.. Thank you so much Patricia! My photographs are the very basic ones taken either with my cellphone or iPad! I need to pick up the DSLR now.